Elon Musk had approved the production of a prototype of the Model Y and the company is targeting 2020, Tesla CEO said during the automaker’s third-quarter earnings call a few days ago. The CEO only said they had made significant progress on the Model Y and didn’t give any further details. Musk has previously teased a March 2019 reveal of the SUV. 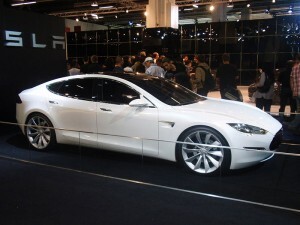 The reason for the delay is definitely that Tesla doesn’t have anywhere to build the new model yet. The company is at the limits of its factory in Fremont, to the point that it had to build a giant tent in the parking lot e a few months ago to meet demand for the Model 3 sedan. The company currently occupies about 30 percent of its Gigafactory in Nevada, but Tesla would need time and money to equip the facility for vehicle production. The company only makes batteries for all of its cars and energy products. Documents filed recently with the government in Shanghai showed that Tesla is planning to make two different models at the planned Gigafactory there. One will be the Model 3, which Musk said Wednesday he hopes to start production by the end of 2019. The other might be the Model Y, but building a factory from scratch and putting two different cars into production might be a hard task.